Much has been written about dark chocolate and its health benefits in the last few years (although some of the studies have been funded by chocolate manufacturing companies!). Dark chocolates are in the news because of the antioxidants (epicatechin and gallic acid) that are present in cocoa. Theobromine, an alkaloid present in the cocoa plant is believed to dilate blood vessels. Potential health benefits include reduced blood pressure and mood elevation. Many of the other suggested health benefits are still under research. If you wish to munch on a dark chocolate buy the ones that contain the highest amount of cocoa (the highest that I have seen is 90% cocoa). These dark chocolates (also called bitter chocolates) contain no milk and very little sugar compared to the others. Some companies market their chocolates with less than 60% cocoa and call them 'dark chocolates'. Such chocolates contain milk and sugar to make them sweet. This increases calorie content of the chocolate. Some manufacturers add hydrogenated fat as an ingredient and this is definitely not a healthy move. 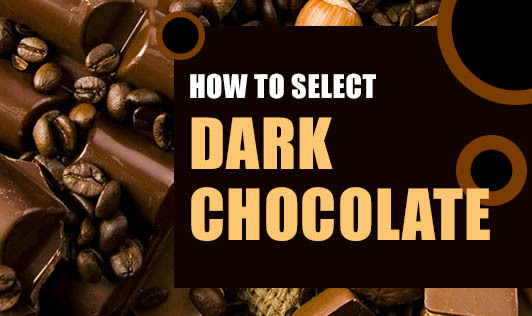 So, read labels when you buy dark chocolates. While some are genuine, some others might end up harming your health rather than building it!